Saddle Road Press, 9781732952102, 60pp. At the beginning of Whale Fall & Black Sage, "three strange angels" command the poet: Go down./ Now you must love that too. She descends into the darkness of whale fall, with its strange creatures both real and imaginary, its song of death and rebirth. Returning to the upper world, her journey becomes more difficult, increasingly revelatory, ultimately transformative.The book ends with a joyous, fully embodied Whitmanesque crow. 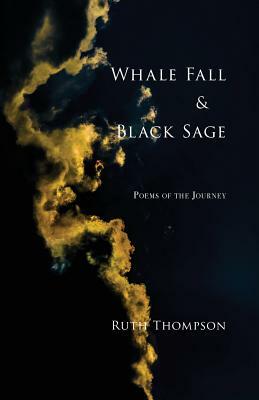 In Whale Fall & Black Sage, the praise poems of Here Along Cazenovia Creek have deepened and become more resonant: "This is the blood/of black sage: /resinous, unfailing.//A leaf crushed/between fingers like this/saves us from desolation."